Manchester United are facing a striker crisis ahead of their trip to Everton with Zlatan Ibrahimovic and Romelu Lukaku both set for time on the sidelines. Ibrahimovic started the Boxing Day draw with Burnley but was replaced by Jesse Lingard at half-time as United came from behind to salvage a 2-2 draw at Old Trafford. 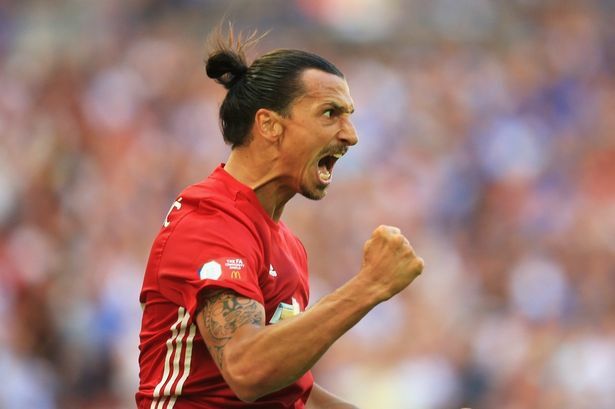 The Swedish legend was then omitted from the matchday squad for the 0-0 draw with Southampton on Sunday evening and Mourinho confirmed after the 0-0 draw that Ibrahimovic has picked up a fresh knee problem. The 36-year-old only recently returned to full fitness after recovering from a serious cruciate knee ligament injury that he sustained during the closing stages of last season. Unfortunately, Mourinho has revealed Ibrahimovic has damaged the same knee that kept him out for seven months and is now expected to be out for around a month. Mourinho is quoted as saying by the Daily Mail. Losing Ibrahimovic for a month will come as a huge blow but it’s compounded by the fact his strike partner Lukaku has also picked up an injury problem. The Belgian international was stretchered off during the first half against Southampton yesterday following a clash of heads with defender Wesley Hoedt. Lukaku lay flat out on the turf and needed several minutes of treatment before being replaced by Marcus Rashford. Mourinho hopes the problem isn’t too serious but expects the striker to miss at least the next two games. We’ll have to wait and see how serious the injury is and United will no doubt be cautious due to the fact it’s a head injury but Lukaku looks set to miss the trip to Everton on New Years Day. The Belgian hitman is also expected to sit out the FA Cup thrid round clash with Derby County next Friday but it remains to be seen whether he’ll be available for the visit of Stoke City to Old Trafford in two weeks time. With Ibrahimovic and Lukaku on the sidelines, Mourinho has limited options up front so Marcus Rashford and Anthony Martial could be called upon to the lead the line against Everton tomorrow.